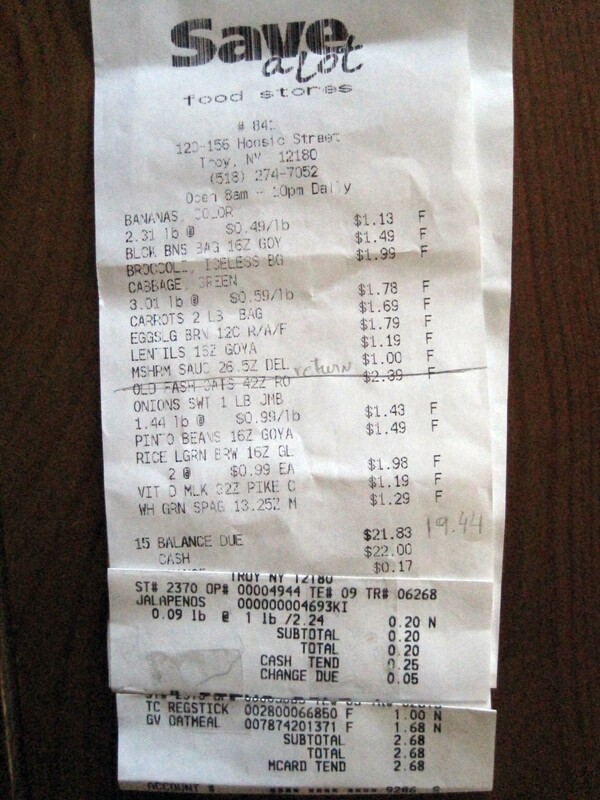 Bellow is a photo of what I am eating the next 5 days=$22.32. 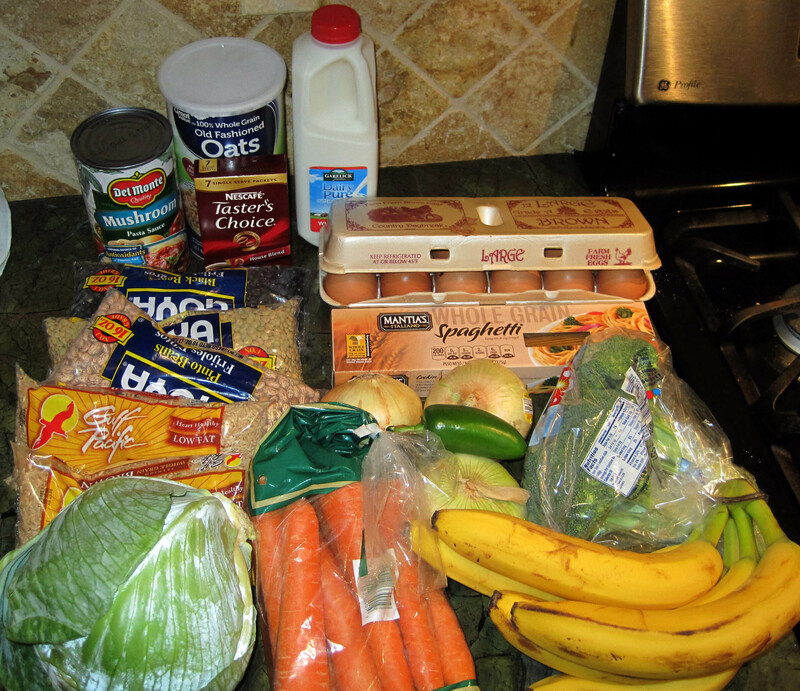 The Supplemental Nutrition Assistance Program (SNAP) averages $1.50/day/ per person. I am taking the challenge. You can see my blog entries for each day. I got an e-mail mid-week from Linda O’Malley, director of Oakwood Community Center, that she was doing the Food Stamp Challenge. They had food pantry there and the closest supermarket to them is Save-a lot. I have been trying to cook for events and my family with this number in mind=$1.50 per person, per meal. I have been cooking and sharing bean recipes with you this year, but now maybe we can see together what this would look like on my plate several meals in a row.